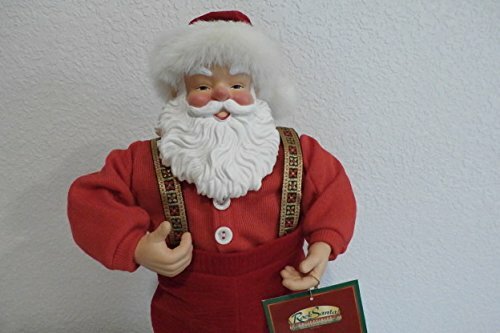 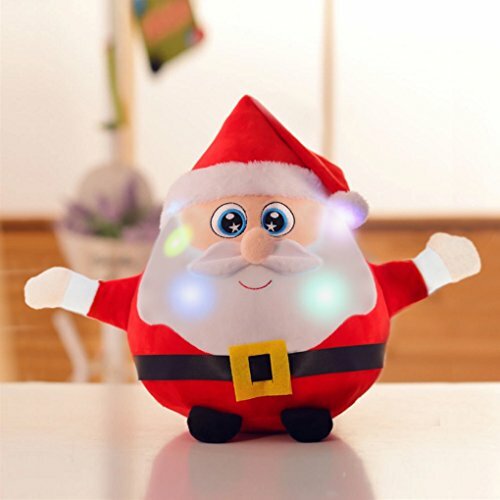 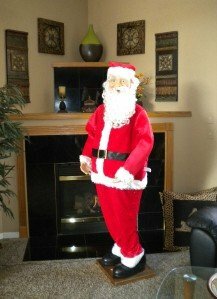 Instruction: Powered with 3 AA batteries, then press the button on the Santa left hand, it will sing and dance Material: It is made of 45% fabric and 55% plastic. 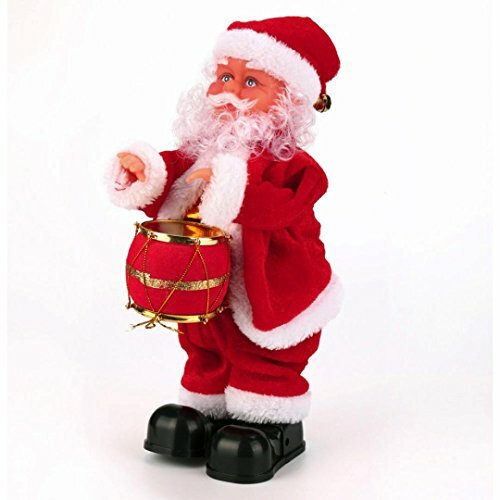 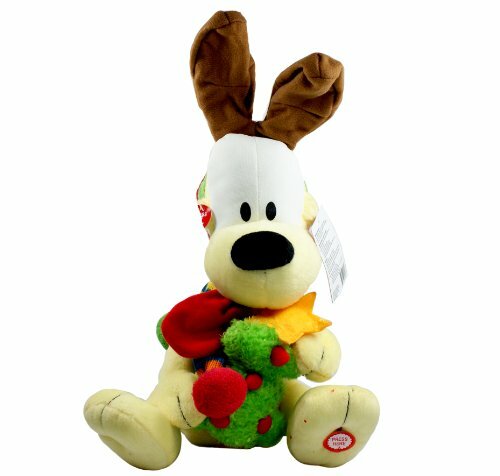 Dances, Talks & Plays 4 songs in English & Spanish: "Deck the Halls," "Up on the Housetop", "We Wish you a Merry Christmas" , "Jingle Bells"
This adorable 12" animated plush stuffed animal dances in his gift box while his ears flap in synchronization to the music of "They Say It's Your Birthday." 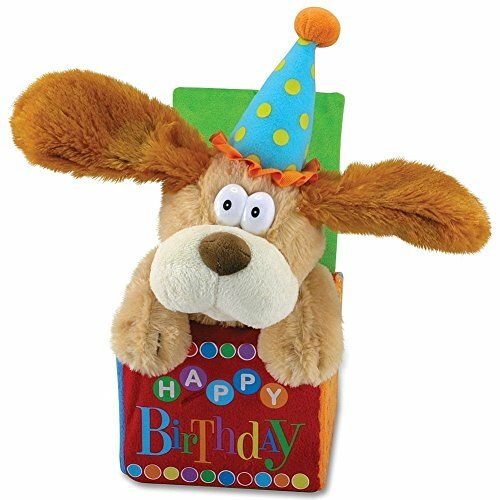 Who wouldn't love to receive this unique birthday gift? 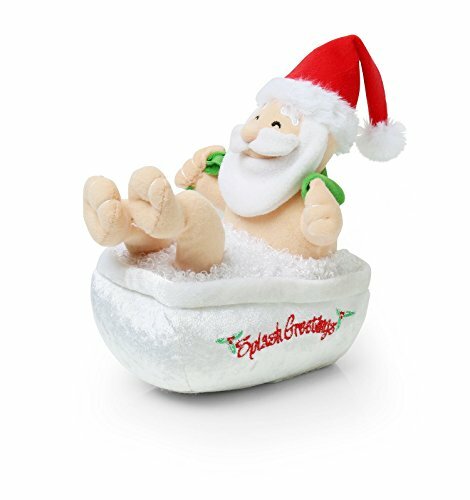 Plush animated bathing santa. 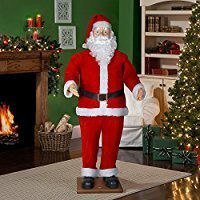 Ideal for the home this Christmas. 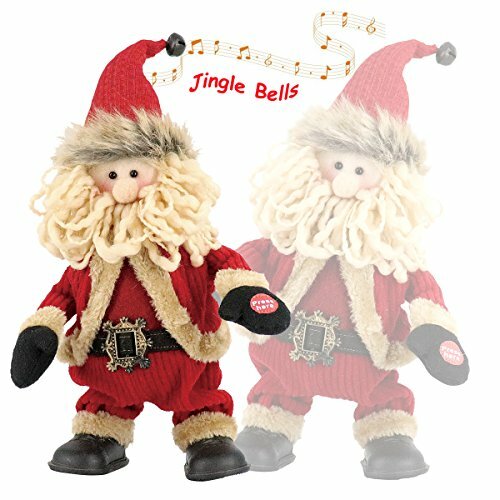 Gemmy and T.L. 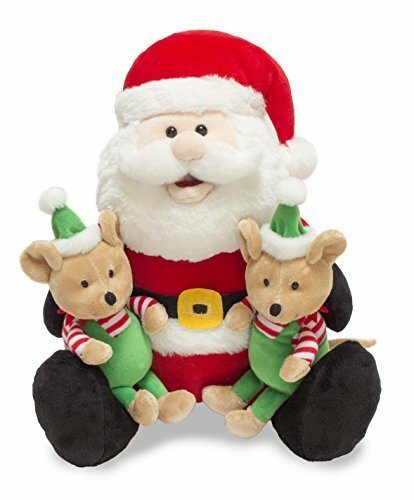 Toys animated singing Santa and snowman.